Look alive, its page number five. That speech bubble, I put it in before I knew what was going to be in it. I was obsessing about it for days. If anyone has a witty quip for Cactus Man to say, put it in the comments and I’ll consider changing the page. We can make this collaborative if anyone wants to collaborate. This page is the end of the scene. Finally. I’m kind of exhausted. The next scene should be more fun, with more dialog and comedy. But don’t expect a new page for a few weeks, I have some other things to work on. I shall post about them. I’m proud of myself, though. This is my first time doing a webcomic, and I didn’t expect it to be easy. I guess I’m a published webcomics artist now. The internet is a funny thing. Thanks to everyone who has been following this comic. This isn’t the most exciting opening, but I promise it will pick up more as the story gets going. There will be more comedy and action to come. Thanks for sticking around. Here is the gallery with all five pages, enjoy! Is that Moe following CactusMan in the garage? Of course it is! I think Moe deserves more of a fan following, don’t you? I have been reading your Cactus Man pages and have been enjoying them. I appreciated your interest in having some thought about the speech panel. I hoped you wouldn’t mind me throwing a couple of thoughts up here. First of all, to me, that speech bubble is really important: It is the first time we are going to be made aware that the character CAN speak, much less the fact it is his first words. The fact he has a distinctive bubble around them suggests an unusual or unearthly (Cactus-y?) tone to it, which may cause as much reaction to the people who interact with him as the fact he is, well, a mobile succulent that produces fast-growing explosive pods. 1. Is the facility that is working on these succulent experiments public about the type of experiments it is doing or are they super-secretive? 2. Is there a purpose to the foods / plants being grown inside the dome different than the ones outside? The reason I ask ifs that visually you suggest the dogs can walk on the plants grown outside (frame 3) – so are those benign or for show to “secretly” cover up whatever nefarious things happens inside the facility? 3. The Cactus Man pots on feet thing: What if Cactus Man was not a planned form of succulent sentience but was a weird hybrid that happened when two vastly different experimental hybrids branched out, entwined, and “grew together”? 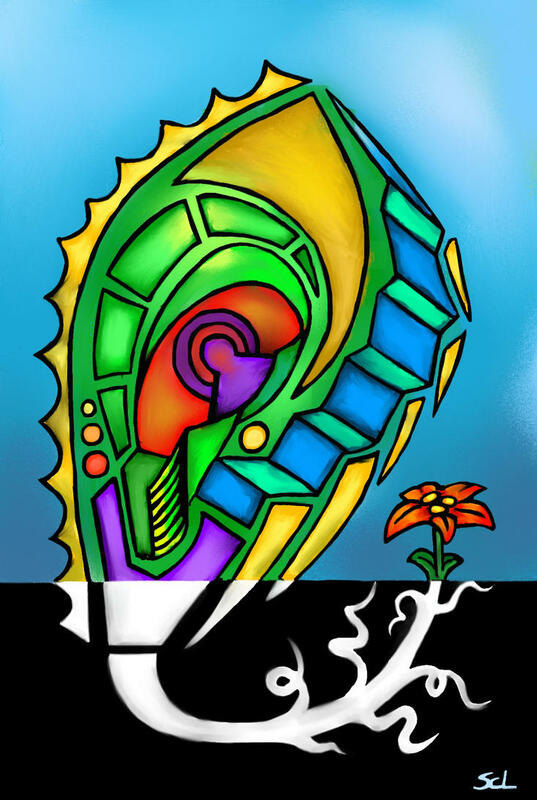 We know one property of Cactus man is that he is regenerative – he can grow and deploy pods, he can form feet out of exposed roots – was one of the plants being bred for hyper-adaptability and it entwined with a separate plant that was for some other purpose entirely, and that led to this sentient hybrid? And if so, might there be more than one sentience in Cactus man? 4. 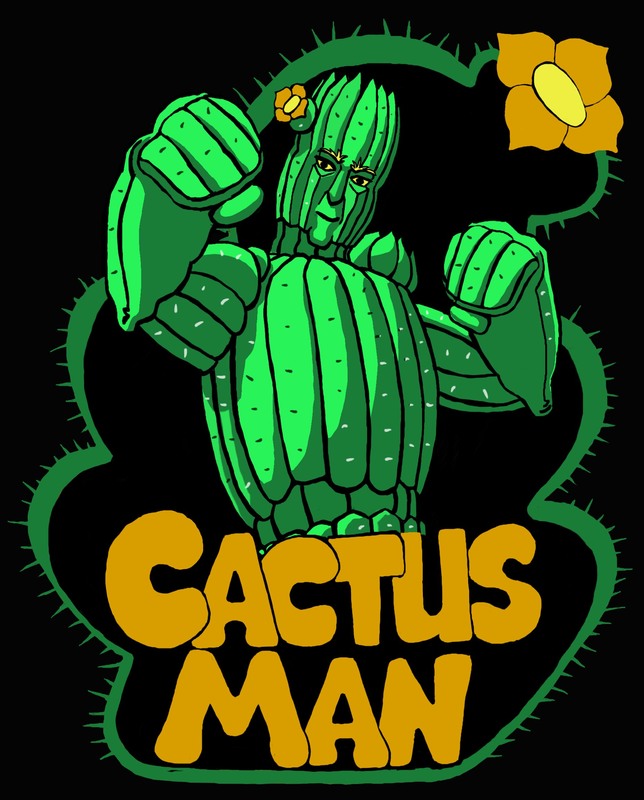 Is Cactus Man just unhappy with having been confined, confused, or is he genuinely angry or have antagonism with the botanists who created him? The last point may be the most crucial. The police were summoned to the lab by the alarms. Are they “in” on the story? If not, did Cactus man, before leaving, leave a message of some sort that is incriminating or embarrassing to the lab in order to get them into trouble? (“Dr. Thompkins, let us see you explain your formula for biological explosives to the constables.”) (“I almost might trade my freedom just to see Dr. Thompkins’ face when he realizes the meaning of the symbols I left for the police.”) etc. . .
What this would allow is that we now know much more from that one sentence than just Cactus Man is wry, but it allows you to introduce a number of other plot elements. What if there was a researcher that was sympathetic to his plight that aided in his escape? (“I fear, Dr, Frazier, you gaining me my freedom may cost me yours.”) However, the expression on his face is probably wrong for this kind of sentiment. Of course all this is predicated on the fact that the world we are seeing is normal and in the present day except for what we have seen. If the next interactive panels show us a futuristic world, a model town that exists on the dime of the biomedical people, etc., obviously your mileage may vary. But that’ s the power of those first words: They can drive so much of the story not just by what they say, but what they imply. 1. The facility is owned by a giant shady corporation called Texen Relativity Corp. Like most giant shady corporations, they are secretive about how they do everything. 2. The interior greenhouse and lab houses the more exotic experiments and the strongest chemicals. We will likely come back to this location for a confrontation later on (spoiler), and the lab will be more fleshed out. 3. TRC did not create Cactus Man, they just abducted him. He is a member of an ancient race of sentient ents that have existed in the deserts since before modern civilization. Later on we will see CM returning to the deserts where he came from, and meet others of his kind. 4. He’s genuinely angry. He does not like humans, and he has a bad track record with them. One character weakness is a tendency to underestimate humanity. I think the police would side with the job creators on this one. But, like you said, they’re not going door to door looking for a plant. Corporate cover-up, maybe? I want this to be as close as possible to the real world, and in this world, corporations get away with everything. All that said, what goes in the pannel? Writing is impossible, I swear. At least I have you keeping me on the straight and narrow here. If you come up with something I can always change it.